Dr. Chase is passionate about providing community members with state-of-the-art treatment at his chiropractic care center in San Marcos. At Life Source Chiropractic we welcome family members of every age and from every walk of life. We cater to the unique needs of each patient, from moms-to-be and children to those in the workforce and our senior population. Our patients appreciate our emphasis on gentle techniques in a compassionate and caring environment. 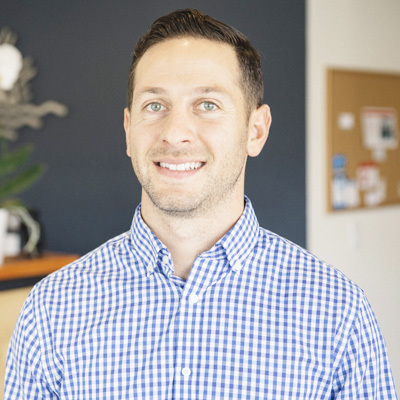 Following his own exceptional experience with chiropractic care, Dr. Chase enrolled in Life Chiropractic West in Hayward, California, and received his Doctor of Chiropractic degree. He’s continued to refine his skills and has earned certification in the highly prestigious Webster Technique. This approach to prenatal chiropractic care assists him in providing an optimal, safe and comfortable pregnancy for his female patients. Dr. Chase loves to spend time with his family and is an avid outdoorsman. He enjoys hiking and surfing and just relaxing on the beach. He lives the chiropractic lifestyle of clean eating and healthy exercise as a regular part of life. Contact us today to book an appointment with Dr. Chase!